Srinagar: Abdur Rehman alias Abu Qasim, a Pakistani militant who for his deadly pursuits in Jammu and Kashmir over the years rose to a top position in Lashkar-e-Tayyaba, one of the largest and most active terror organizations in South Asia, and carried a reward of Rs 2 million on his head was killed in a fire fight with security forces in the State’s southern Kulgam district overnight. 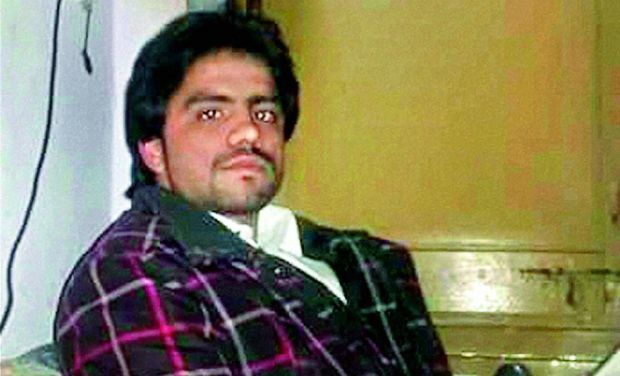 Officials termed his killing as a ‘major success’ against the militants active in Jammu and Kashmir and said Abu Qasim, a resident of Bahawalpur, Multan, was involved in a number of militant activities during his 5-year stint as the Lashkar’s point man in Kashmir Valley and figured in the security forces’ list of most wanted militants. He came under renewed focus of security forces after investigations revealed that he was the mastermind of August 5 terror strike outside Udhampur in which two Border Security Force (BSF) jawans were killed and 12 other security personnel were injured. One LeT militant Muhammad Noaman was also killed in the security forces’ retaliatory fire whereas another Pakis-tani cadre Muhammad Naveed Yakub was captured alive. Naveed and his two alleged local accomplices are currently in a Jammu jail. The National Investigation Agency (NIA) is investigating the case. Inspector general of police (Kashmir range) S.J.M.Gillani said on Thursday that 28-year-old Abu Qasim was killed during an encounter with a joint party of Army, CRPF and the local police’s counter-insurgency Special Operations Group in village Khandaypora of Kulgam. It took place during a cordon-and-search operation launched on specific information about his presence there, he added. Two more militants were trapped in the area, a report said. Mr Gillani confirmed that the slain militant, a divisional commander of the Lashkar, was the ‘mastermind’ of the Udhampur attack.